Attached this ID to your Pet's Carrier. I love Cats. 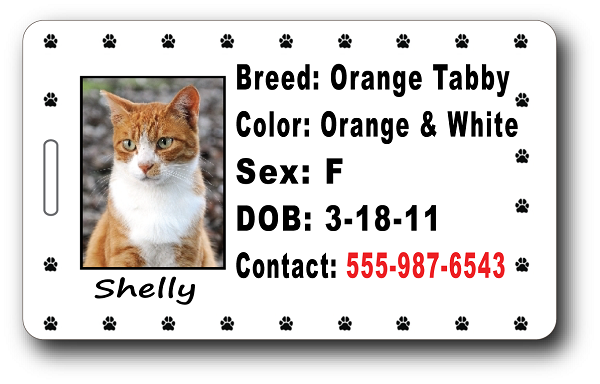 These IDs are perfect for my travel needs as I have my two cats go with me everywhere. Very Colorful and strong...I'm sure these will last a very long time. I Love the customer service; they did a special order for me as well. Thank you from Debbie and my kitties.